At 100, Composer Margaret Bonds Remains A Great Exception : Deceptive Cadence Four decades after her death, Bonds — a gifted pianist and a friend and collaborator of Langston Hughes — is still one of few African-American woman composers to gain recognition in the United States. Margaret Bonds in 1956. Born in Chicago in 1913, Bonds became one of the first African-American female composers to gain recognition in the United States. 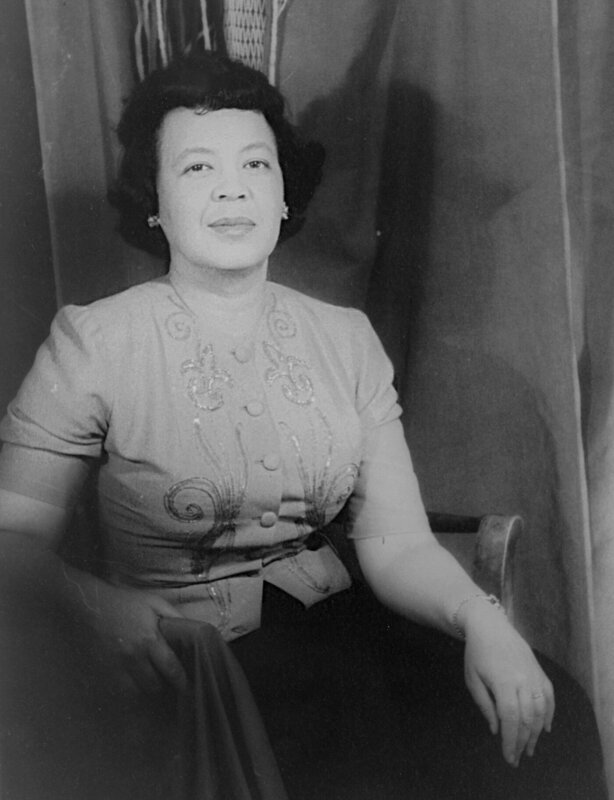 Margaret Bonds, who died in 1972, is perhaps near the top of the very short list of African-American female composers. Thanks to her partnerships with Langston Hughes and soprano Leontyne Price and others, she's remembered in some circles as an important figure in American composition. But, mostly, she's been forgotten. "It's amazing that people don't know who she was, although she was quite well known in her time," says Louise Toppin, an opera singer and a voice professor at the University of North Carolina at Chapel Hill. Toppin is hosting a symposium on Bonds this weekend, in honor of what would have been the composer's 100th birthday. Toppin spoke with NPR's Celeste Headlee about Bonds' impact on American culture as well as her own development as a musician. "She's born into the time where jazz musicians from the Great Migration have come to Chicago. You have classical musicians that are also there, so it's a very rich musical environment. The Chicago renaissance is going on, so you have writers, poets — everything is happening." "I actually learned it when I was about 10 years old, as a pianist. It was the first composition my piano teacher gave me. ... I was fascinated as a child to see a composition by an African-American, because I hadn't. As I started to learn the piece and the jazz influence, the extended techniques — you have to have a feel for jazz to play that piece, but you also get a good sense of what a fine pianist Margaret Bonds had to have been to play that." "They had a personal relationship, a friendship. They actually worked collaboratively for so long, and knew each other. And she loved the way he told the story of African-Americans and Harlem during this time, because one of the things that was important to Bonds was to promote not only her own compositions, but just the pride she had in African-American artists."